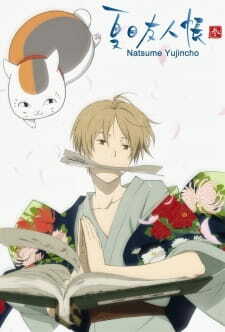 Natsume Yuujinchou San builds on its solid foundation, continuing to weave a heartwarming tale for all viewers. The over-arching theme has evolved from one of loneliness, to acceptance, and finally to warmth over these three seasons, and this one seems to be the most gentle, most stirring, and most impactful yet. The storytelling remains largely episodic, and while each episode may be rather unconnected to the previous, they all reveal much about the protagonist. This season has seen a clear shift, from the more Youkai-centred storytelling of the first two seasons to one focused on the exploration of Natsume's character and his past, giving viewers a more complete picture of Natsume. The art remains soft and unobtrusive, and the animation is fluid. While this is not breathtaking material, it complements the simplicity of the anime, and undoubtedly leaves viewers satisfied. Like the art, the sound works closely with the overall theme of the anime, and is gentle, atmospheric and flowing. Voice acting is top notch, and emotional levels are kept at just the right level, for viewers to be able to relate to the characters, yet never allowing the anime to degenerate into angst and melodrama. Rarely do we have a hero who is selfless yet discerning, strong yet frail; rarely, do we have a protagonist so real. Natsume is not one who defies all logic and overcomes insuperable odds, but is one faced with hesitations and uncertainties like the rest of us. The supporting characters also hold their own, especially the greedy and increasing obese Nyanko-sensei. Despite their rather short screen time and lack of recurrence,the Youkais are also well developed and believable, each with their own story to tell. Overall, the characters are all colourful, well thought-out and add their own distinctive touches to the story. Natsume Yuujinchou San follows its predecessors in presenting viewers with something relaxing, poignant and thought provoking. Despite the high bar set by the first two seasons, Natsume Yuujinchou San lives up to, and even surpasses all expectations. With a more pronounced touch of optimism than the last two seasons, the show really gave all viewers what they wanted deep in their hearts: to see Natsume get his 'happily ever after'. NOTE: Since the content in all three seasons is similar enough that they don't warrant separate reviews, they will all be covered here. The fourth will be edited in when it finishes, unless it differs heavily from the first three by the end of its run. Natsume Yuujinchou covers a familiar kind of story. We are presented with a teenage boy, who is unusually airy and doesn't socialize much, and frequently seems to be looking intently at things that aren't there. As you may have guessed, Natsume sees dead people. Well, not exactly... he can see Youkai, a kind of spirit told of in Japanese folklore. Many of the Youkai themselves seem to possess an unusual interest in Natsume. One day, as a pair of Youkai are chasing him, he accidentally breaks a seal containing a powerful Youkai... one that knows why Natsume is being chased. You see, his grandmother Reiko had the same gift as him, and used to go around beating up Youkai and making them give away their names to her (which allowed her to command them), which she collected in a book, the titular Yuujinchou (Book of Friends). And now that Reiko is dead, Natsume has to attempt to return the names, but without losing the book in the process. And his new Youkai friend Madara has agreed to help protect him, as long as he is entitled to the book upon Natsume's natural passing. What is really impressive about Natsume Yuujinchou is that, from that plot summary there, you will mostly likely think of many other series from various different mediums that follow a similar blueprint. And yet Natsume is significantly better than them. Natsume, as a series, takes on this theme with a brilliant level of poignancy. Rather than being a generic shonen action series as it so easily could have been (many of the bare bones of the series show parallels to Bleach, for example), Natsume is more concerned with telling the stories of each of these Youkai. While there is the occasional flash of action, this is never really the point. It's extremely refreshing to see a premise so frequently used for nothing more than cheap kicks done so beautifully. It even strikes something of a contrast with excellent series such as Mushishi and Mononoke, in that while these are focused on the abnormality of the creatures the series is based around, Yuujinchou is far more down to earth and human-feeling. Plotwise, this series is episodic, with the episodes focusing on individual youkai, with the stories not generally intertwining or crossing more than one episode (though there are exceptions). Almost all of the episodes are excellent, though there's two or three I didn't really care for. The second season in particular ups the quality of these, with the last four standing out as being firmly the best out of both seasons. There's not really anything in the way of an overarching plot or any clear goal, but it's all tied together through the furthering of Natsume's character and the additional insights into Reiko which we see through the Youkai's memories, both of which are excellent features of the series. The characterisation in this series is truly unique. Every character is very down-to-earth and believable, and yet not quite your everyday average Joe either. They all have distinctive personalities, and yet feel totally natural. The character designs are much the same way: simple-looking, but effective and distinctive. The only characters who are consistently in every episode are Natsume himself, and his Youkai bodyguard Madara A.K.A Nyanko-sensei. Madara is mostly comic relief, but effectively so. In his true form he's much easier to take seriously, which is often used to good effect. Natsume, on the other hand, is definitely the pinnacle of the aforementioned style. He doesn't really have a clear, character-defining moment or trait, which initially makes him seem like an uninteresting character. However, the more you get to know him, the better a character he seems. He is slowly but surely characterised through musings and realizations gathered through his experiences with all the Youkai he meets, painting a subtle yet excellent portrait of his character. In the third season, this reaches it's peak, as he slowly comes to not only accept, but value his unique circumstances and all the friends he's made because of it. In terms of production, the animation is superb. Oddly, though, it's quite restrained about it. Aside from some really beautiful, picturesque background art, it doesn't attempt to beat you over the head with its visuals, letting them stay in the background but subtly lending a lot to the series. In the second season especially, though, it dishes out quite a few animation bumps in some of the series more excellent moments, when it really needs to be rendered better. With this, combined with an excellent character art style, Natsume Yuujinchou just plain looks beautiful all-round. Musically, the OST does much the same as the art: it is distinct, amazing, perfectly fitting, but not overbearing. The music is invariably perfectly matched to the tone of the scene rather than being used to create the tone. The voice acting is all-round excellent, but my only problem with it is, strangely enough, Natsume himself. Hiroshi Kamiya was, in my opinion, a poor choice of casting. He does, however, put in an excellent performance which is hardly surprising given how good of an actor he is, but his voice seems terribly unfit to the role, and far more suited to more average and highly strung protagonists like those he usually plays, as opposed to the awkward, airy Natsume. Still, it's hardly distracting. If I have any real complaint about Natsume Yuujinchou, it's that almost every episode's plot is built from a random contrivance. Generally, Natsume encounters something vital to the plot of the episode by sheer coincidence that is not directly tied to the plot at all. It's not terribly distracting, but it's done repeatedly and always seems far too convenient. Nonetheless, Natsume Yuujinchou is an excellent series. It's a calming, relaxing show that simply does its job well. The second and third seasons are better than the first, with the second having better standalone episodes, along with better art and directing than the other two, and the third contributing more to the overall story and Natsume's development. Which season is the best is really a question of style vs. substance. Final Words: Something I would solidly recommend to anyone looking for a calming, soothing anime. Although many believe a happy ending is most often times not a "good ending" I would beg to differ. In this season, Natsume not only presses towards the future, but shows flashbacks of the past. I was thrilled to see more of Natsume's past because it enabled me to fill some of the mysteries behind his past. I can't help but praise this anime on it's ability to take repetitive situations, and make them unique. Natsume almost always gets into trouble, but not in a logical way. The scenario is often the same, a youkai wants to hurt him or request his assistance. Yet each end result is different, whilst simultaneously being slightly similar. Albeit slightly similar, the satisfaction the viewer feels is still high. There's a notable sense of growth and development within each interaction This anime is so relaxing and does such a great job at catching the viewers attention. The characters are perfection, the support characters continue to grow. They're so realistic and heartfelt. Sadly there's only one more season after this. I expect it to be spectacular. Natsume Yuujinchou’s presentation style is distinctly episodic, meaning that the external conflicts in themselves don’t add up to much. However, there remains a strong undercurrent of Natsume’s character development throughout as he grows from being a lonely boy to a self-assured young man. As such, what makes the viewing experience so worthwhile is the subtle touch of delicate dilemmas and enchanting atmospheres. Since he was a child, Natsume Takashi has always been able to see supernatural beings that others could not. As a result, many people around him have either thought he was crazy or treated him as a sign of bad luck, which has led to him being somewhat of a loner. All of this would change once he got his hands on a strange book that belonged to his grandmother, Reiko, and contains the names of all the spirits that his grandmother had contracted into helping her. Natsume, accompanied by Madara, a spirit who disguises himself as the large cat, making new friends in the process and learning how to live in harmony with humans and spirits. Natsume Yuujinchou San's animation was decently fluid, especially when it came to the movement of the youkai. The colour palate for the show wasn't too bright or overpowering, yet the subtle colours remain versatile and can do a nice job of setting up a mood or tone for a certain scene. As always, the Youkai that appear each have their own unique character designs that could range from simple to complex and silly to graceful, giving their supernatural world a diverse feel. The details put into the show make things beautiful. And the animation during the "magic" scenes flow so well and just seem so serene it really changes the atmosphere from an action to a spiritual feel. The ED of the show is rather slow and peaceful like the series itself; the singing and lyrics are full of emotion. The OP is good too, however the ED is more memorable because of its melodies. Overall, the soundtrack was excellent. The background music is really nice and also does a great job of giving a tone or mood to a scene which is a job well done for the soundtrack. The voice characters are well acted and always suitable, but the best performances belong to the spirits. Be they comic relief or frightening foes, their intonations are so spot-on that they remain emotionally engaging throughout. Where this story especially excels is in the introduction of one-off characters. Natsume was generally quiet and reserved, he's one of those guys with one of those skills that not many others possess and make him look crazy. So in reaction to that he keeps it a secret and is very much to himself. However he's different than most other protagonist in these situations. He doesn't completely shut himself off from the world on purpose. The spirits themselves are fleshed out rather well because each one has a distinct personality and detailed background which gives them a human quality that makes it easier for the audience to empathize with them. You'll sit back at the end of each episode and reflect on the fleeting poignant moments experienced minutes ago. This is a series that’s full of heart; it’s compassionate, emotional, but still ultimately upbeat. Natsume Yuujinchou San has this subdued and enchanting setting, the series shines brightest in the way it draws out the viewer’s emotions as it tells its stories while developing its cast to the fullest. As such, people looking for a relaxing, wonderful series that goes into the realms of magical realism should definitely give this title a shot.